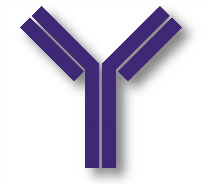 CD69, also known as very early activation (VEA) antigen, is a disulfide-linked transmembrane homodimer whose differentially glycosylated subunits range from 35-39 kDa. 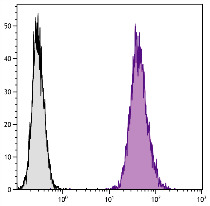 It is a C-type lectin most closely related to the NKR-P1 and Ly-49 NK cell-activation molecules. 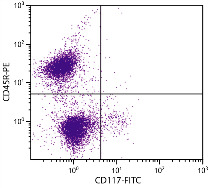 CD69 is widely expressed on hematopoietic cells, including lymphocytes, neutrophils and eosinophils. 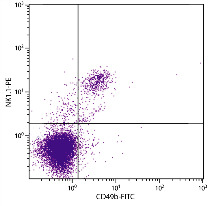 Although not detectable on resting lymphocytes, its expression is rapidly upregulated upon activation of T, B and NK cells, and neutrophils. 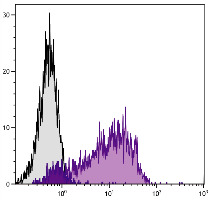 Constitutive expression of CD69 on subsets of thymocytes suggests that it may be involved in regulation of developmental events in addition to its role in activation of a variety of hematopoietic cells. 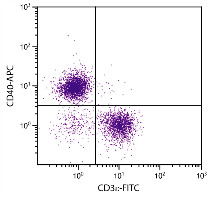 The monoclonal antibody H1.2F3 augments PMA-induced T-cell proliferation and induces redirected lysis of Fc receptor-bearing target cells by NK cells. Con-A stimulated BALB/c mouse splenocytes were stained with Hamster Anti-Mouse CD69-PE (SB Cat. No. 1715-09L).